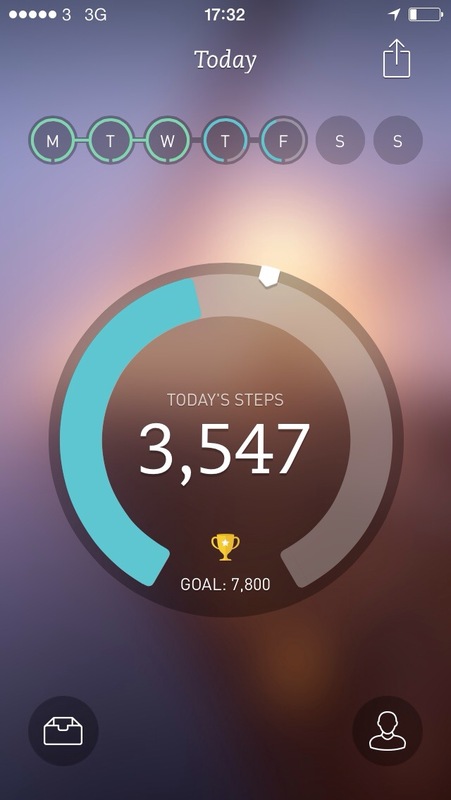 Standing out in a crowded marketplace of fitness and step tracking apps is no easy task. Breeze manages with aplomb to display step tracking that stands out from a crowded marketplace. se days have gotten displaying data in a beautiful way down to a fine art, especially when it comes to mining the information in the M7 co-processors and I’d argue that since iOS 7’s release apps have never looked better. And this is why Breeze is my name go to fitness tracking application. Not only does Breeze look absolutely gorgeous with a beautiful use of typography, pictures and displaying just the right amount of data but stands out thanks to being your own personal motivator. Breeze always gives you a feel that there something new to touch or to see on a daily basis which is what keeps you interested and motivated to use this app. You won’t be starting off with zero start as Breeze retrieves the last seven days worth of data from the M7 coprocessor to give you a smart total based on your average 7 days of walking. After the initial import all that’s left to do is start walking and try to reach your daily goal. The circle in the middle of the progress indicator shows you how far ahead or behind you are on your daily activities. This is a smart progress meter as it looks at how far you would normally have walked by a certain time of day and continually adjusts based on your walking habits. Clicking on a day of the week at the top let’s you check back on the last seven days worth of activity. 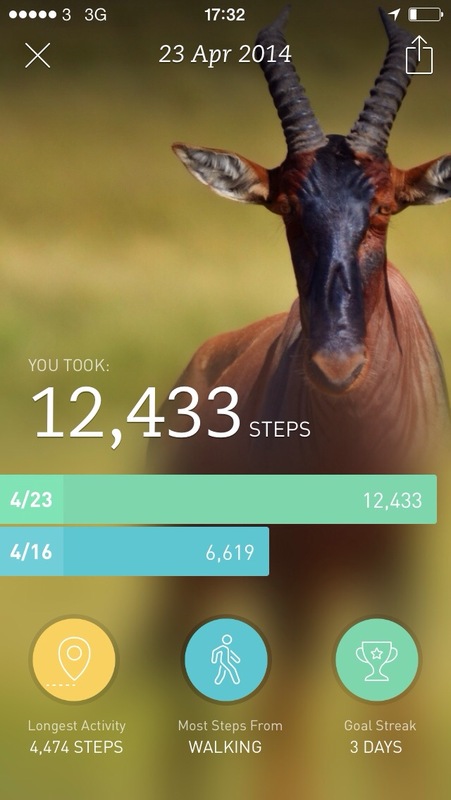 The animal in the background also represents the hard work you’ve been putting into walking along with other stats. It can push your obsessive-compulsive disorder to a new limit to keep your goal busting strike alive,but hey if it motivates you to move that can only be a good thing. Behind the glossy step counting front and there are even more stats and details to be viewed. 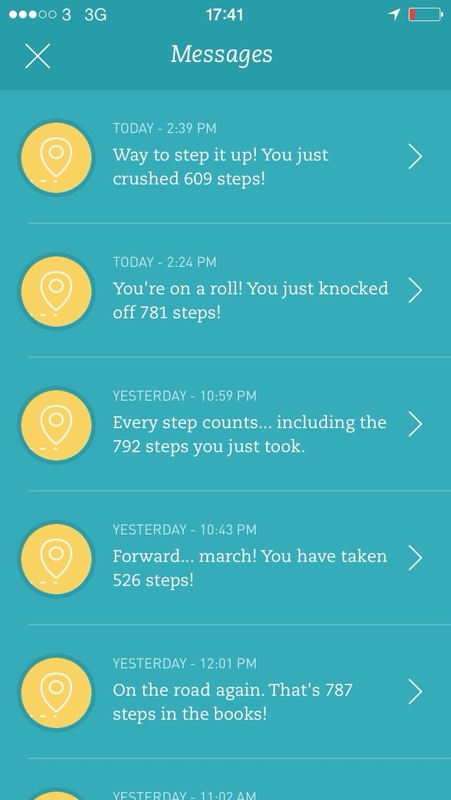 At the bottom left hand side of the screen is “messages” which is more of a journal display that leads you into even more stats about your recent walks. 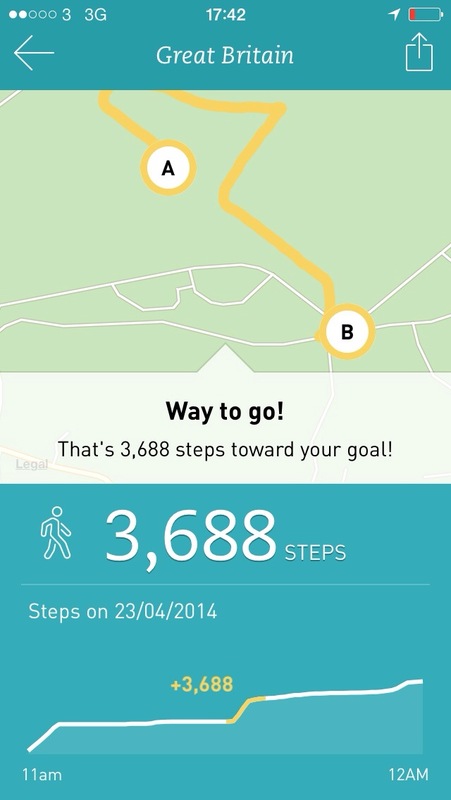 Not only are steps counted but also mapped. Having things mapped is handy in case you discover a new route you might not have done before. In my case it’s good to know what routes I’ve done to take my dogs on a walk, or if I want to do a cheeky top up to hit my goal. Down at the bottom the line graph gives an indication of what times of the day are most active for you. Above you can see my “early” morning dog walk and then the evening one. Also there’s the customary option to show off your achievements by posting to twitter or Facebook. Breeze doesn’t have calorie counting or ways to log what you’ve eaten of drank in the day yet those features require constant manual input and that’s something I find myself continually forgetting to do. For advanced step tracking types this is a great accompaniment to your usual apps. For the rest of us, it’ll do nicely. Next Next post: Dragon Dictate 4 Half price upgrade offer.